Its official now. Windows 7 RTM has been signed by Microsoft. 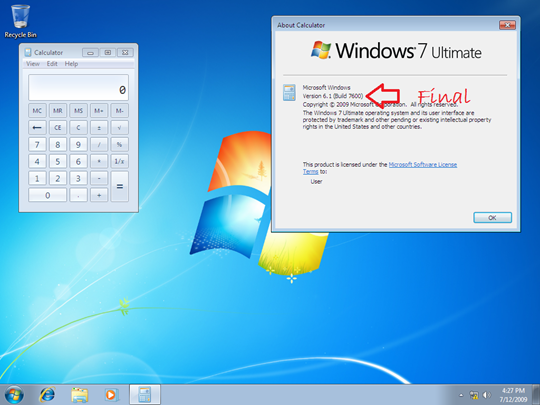 The final build string would be 6.1.7600.16385.090713-1255, which we had previously shared here. Check out our launch schedule to find out when you would be able to download the RTM or pick it up at a retail stores. As promised in the launch schedule article, we would be having a FREE Windows 7 Giveaway contest this September for all our subscribers and followers so make sure you are on the list. As for the RTM build, it is available on all popular torrent trackers right now. I will post some download details soon. Ran 15 queries in 0.146 seconds.